Successfully Added Vape Kit Kamry K1000 Plus - 30W, 1100mAh Battery, 510 Thread, 4ml Tank, VV, VW to your Shopping Cart. This vape kit truly is one of those electronic cigarettes that let you steal the show thanks to its stylish and modern design. As the majority of starter vape kits out there, this 30 Watt e-cig offers an easy and efficient way for beginning vapers to leave behind those harmful tobacco products and enter the healthier world of vaping. Featuring an 1100mAh built-in battery, this vape mod kit packs plenty of power to get you through a day’s worth of relaxing vaping sessions. Coming with all the needed components, this vape mod kit can be easily attached together to form the ultimate electronic cigarette. 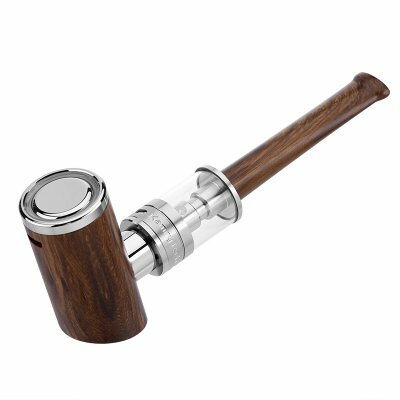 Thanks to its 510 thread, the vaporizer offers you plenty of possibilities to customize and upgrade your vape mod to your own personal liking – guaranteeing that anybody will undergo the perfect vape experience. Crafted out of high-end aluminum and stainless steel, the K1000 Plus vape kit features a durable and stylish design that is guaranteed to turn some heads. With its 0.3 to 9.9-ohm atomizer resistance, this vape kit lets you produce exceptionally large vapor clouds that are sure to impress people standing by. Manual air flow control furthermore allows you to adjust the amount of air injected with each puff – letting you customize the amount of taste and flavor created to your own personal liking. Added to that, this vape mod kit also features variable wattage and voltage control – truly bringing along a fully customizable vape experience that’s guaranteed to meet the likings of anybody out there. This Vape Kit comes with a 12 months warranty, brought to you by the leader in electronic devices as well as wholesale electronic gadgets..